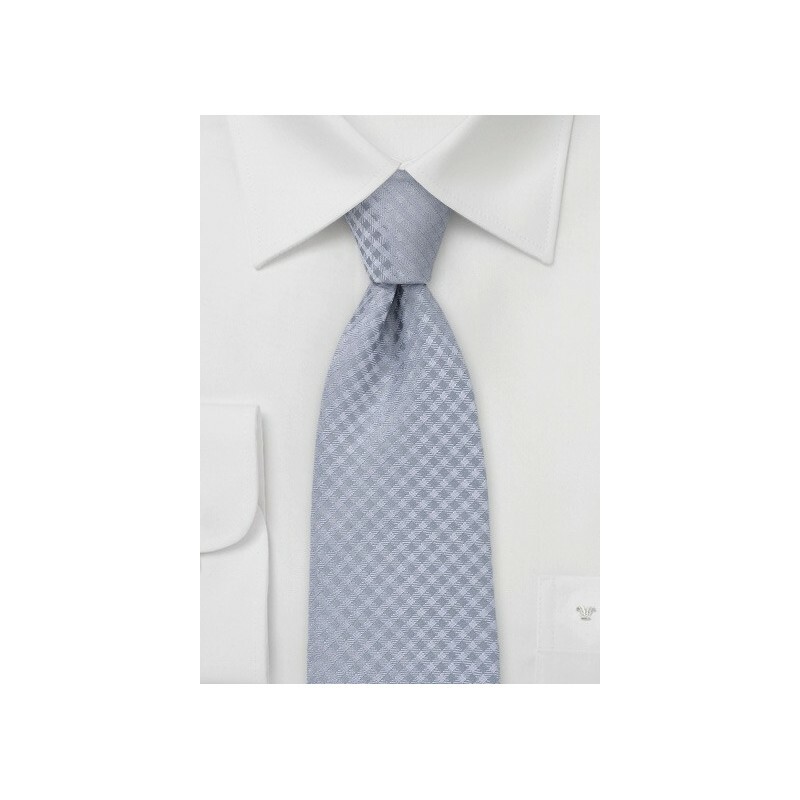 This gingham check tie in silver and grays is the perfect formal necktie for those who want to adhere to a formal dress code, but at the same time want a somewhat different tie than everyone else will be wearing. While the silver shades make this tie festive in nature, the mono-colored gingham check adds a somewhat unusual and fashion forward look. 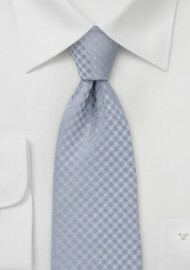 It is the perfect tie for any suit in the gray to black color range. Made from microfiber.